Political nonprofits don’t have to disclose the names of their donors. But thanks to a good-government group, you can now find out about nearly $763 million in donations to these “dark money” organizations. On Wednesday we added details to our FEC Itemizer database on nearly $763 million in contributions to the political nonprofit organizations — also known as 501(c)(4) groups — that have spent the most money on federal elections during the past eight years. The data is courtesy of Issue One, a nonpartisan, nonprofit advocacy organization that is dedicated to political reform and government ethics. These contributions often are called “dark money” because political nonprofits are not required to disclose their donors and can spend money supporting or opposing political candidates. By using government records and other publicly available sources, Issue One has compiled the most comprehensive accounting of such contributions to date. To compile the data, Issue One identified the 15 political nonprofits that reported spending the most money in federal elections since the Supreme Court decision in Citizens United v. FEC in early 2010. It then found contributions using corporate filings, nonprofit reports and documents from the Internal Revenue Service, Department of Labor and Federal Election Commission. One of the top-spending political nonprofits, the National Association of Realtors, is almost entirely funded by its membership and has no records in this data. For each contribution, you can see the source document detailing the transaction in FEC Itemizer. The recipients are a who’s who of national political groups: Americans for Prosperity, the National Rifle Association Institute for Legislative Action, the U.S. Chamber of Commerce and Planned Parenthood Action Fund Inc. account for more than half of the $763 million in contributions in the data. There’s also American Encore, formerly the Center to Protect Patient Rights, one of the main conduits for the conservative financial network created by Charles and David Koch. The largest donor is the Freedom Partners Chamber of Commerce, a Koch-organized business association that has contributed at least $181 million to the leading political nonprofits. Other donors include the Susan Thompson Buffett Foundation, which has given at least $25 million to the Planned Parenthood Action Fund, and major labor unions like the American Federation of State, County and Municipal Employees, or AFSCME, which has given at least $2.8 million to Democratic political nonprofit organizations. Also among the donors are major corporations like Dow Chemical (mostly giving to the U.S. Chamber of Commerce), gun manufacturers (to the NRA), 501(c)(3) charities and individuals. You can read Issue One’s report on its work as well as its methodology for discovering the contribution records. 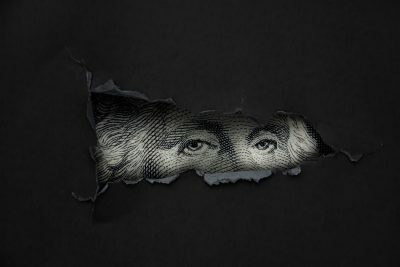 Because many of the sources are documents that are filed annually, this data won’t be updated the same way that FEC Itemizer is for campaign finance filings, but it represents the most comprehensive collection of dark money contributions to date. Itemizer allows you to browse electronic campaign finance filings from the Federal Election Commission and to see individual contributions and expenditures reported by committees raising money for federal elections.